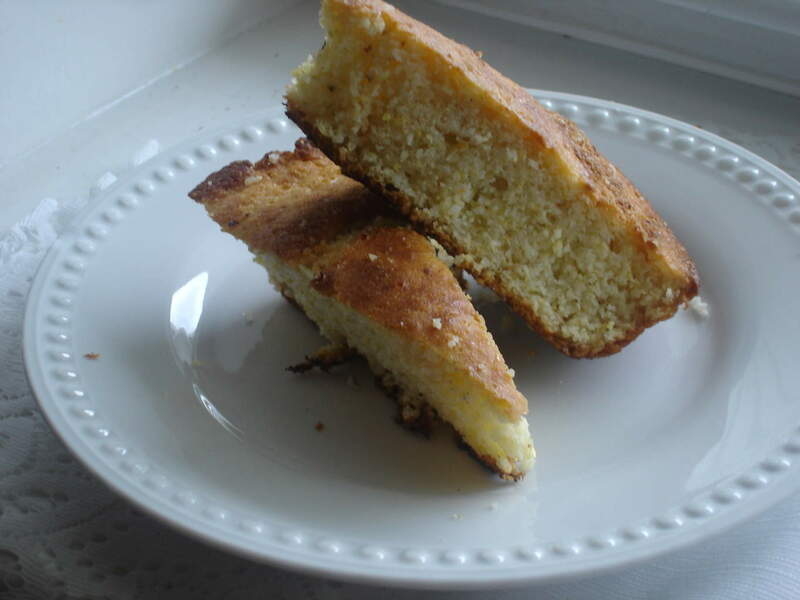 Southern Buttermilk Cornbread is an iconic food in southern US cuisine. We have definite opinions about bread. Biscuits are biscuits. Hushpuppies are hushpuppies. We don’t refer them as bread. We do call Hush Puppies shoes but this is a food blog not a fashion blog. We are talking about the edible hushpuppies. Sliced loaf bread is called light bread because it’s lighter than cornbread, the co-mother of all Southern breads. Cornbread shares top billing with biscuits. We grow corn, not wheat, making cornmeal more accessible for our ancestors than wheat flour. The use of corn in Southern cooking was heavily influenced by Native Americans. Flour was reserved for biscuits and sweets. Bread and roll making took a backseat to cornbread and biscuit making. Cornbread takes on different forms. Hot Water Cornbread is cornmeal, hot water and salt. The cornmeal has no leavening which results in a thin, dense bread. 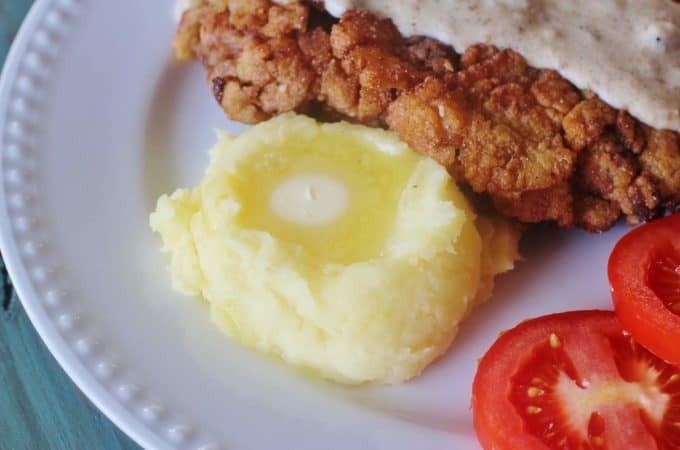 The batter is dropped by spoonfuls into hot grease and fried quickly. Depending on the thickness of the batter, you can get cornbread nuggets that resemble the consistency of hush puppies (bread not shoe) or make the batter thin and the edges will spread out and take on a lacy appearance and get very crispy. A thick batter is used to make hand sized pones that are placed side-by-side in a cast iron skillet that has the bottom covered in a sufficient amount of fat. The pones are flattened with the back of a hand leaving finger indentations. They’re baked in a hot oven until crispy all over. Once they’re turned out on a serving plate, they are easily divided into individual pieces. 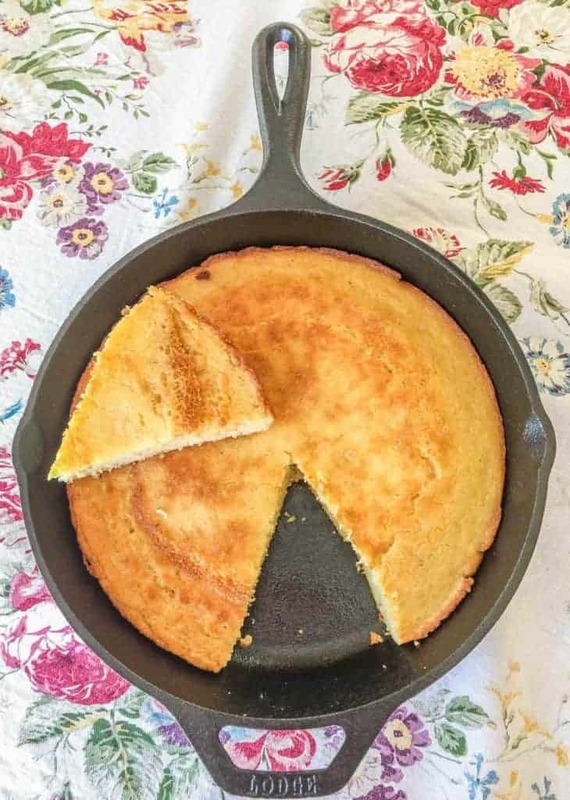 Hot Water Cornbread can be made into a “cake” by pouring the batter into a hot skillet containing fat and baking until the top is browned. It’s turned out to a plate and, in rustic fashion, pieces are torn off instead of cut. The top of the plate has the cornbread of medium consistency dropped into hot oil. The bottom shows lace cornbread which is made by thinning out the batter before dropping by spoonfuls into the oil. All the cornbread was made from the same batch of batter. The only difference was the consistency. A “cake” of cornbread . Just pinch off a hunk! That is fine-looking cornbread. The inside is moist, the top nicely browned. It smells heavenly baking in the oven. To both my grandmothers, this was known as Eggbread and it was made for the expressed purpose of becoming the main ingredient in dressing. Everyday cornbread was some form of Hot Water Cornbread. Perhaps the cost of the extra ingredients for this cornbread could be justified only for special occasions. Where I come from, many folks considered it a crime to put sugar in cornbread. They’re drop dead serious about it. They think if you put sugar in your cornbread batter it becomes cake, which is as confusing as heck since the Hot Water Cornbread made by the skilletfuls is called a “cake” of cornbread. For a time, I convinced myself that I preferred Eggbread over Hot Water Cornbread. It had everything to do with my ill-fated attempt at being highfalutin and very little to do with my real taste preference. I’m eternally grateful to whatever it was that caused me to get down off my high horse. Eggbread is fabulous and has the right to all the fame and glory that comes its way. It will forever be the star ingredient in my dressing. Being true to my heritage and my personality, I’m back to cooking Hot Water Cornbread as our everyday bread. I did come to realize that I prefer the taste of a medium grind cornmeal instead of the fine grind that my family used. Medium grind has more flavor. The nostalgic side of me would love to use such familiar brands as Alabama King or J.T. Pollard both milled in Alabama. But I’ve grown attached to the flavor of Great Smoky Mountains Stone Ground Corn Meal. I’m at peace with that decision. Finally. According to the law of the land, this recipe contains NO SUGAR. If you prefer sugar in your cornbread, add it along with the dry ingredients. Cooking oil can be substituted for bacon drippings if you feel you have to. Whisk together buttermilk and eggs. In a separate bowl, stir together cornmeal, flour, salt and baking soda. Add to wet ingredients and stir until well incorporated. Add bacon drippings to a hot skillet. When bacon drippings are hot, pour in cornmeal batter. Bake in a 425 degree preheated oven for 25 minutes or until the top is golden brown. Stir cornmeal, flour, baking soda and salt. Add to wet ingredients and stir till mixed. Heat a cast iron skillet and add 3 tablespoons of baking grease. When bacon drippings are hot, pour in cornmeal. Bake in a 425 degree preheated oven for 25 minutes or until the top is brown. We love it, too! Good stuff! Funny, I’ve never heard it called Egg Bread before! That’s the way my Mama always made her cornbread. 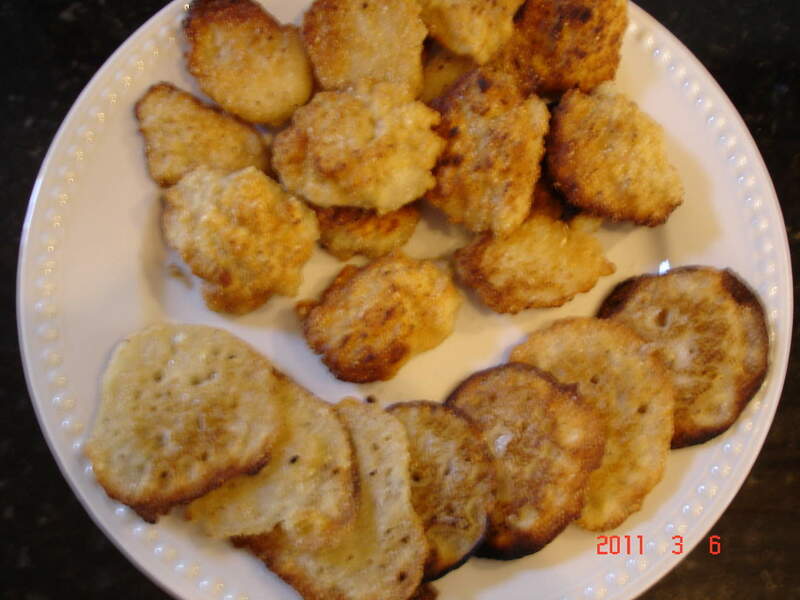 She also made what she called “hoe cakes”, which was the fried cornbread – not sure if it was hot water cornbread or not – will have to ask her. I burned my hand one time when I was at my Grandma’s and she told me to take the bread out of the oven and I didn’t have the pot holder all the way to the end of the handle of the skillet and I had a little rounded burn on my palm! – never did it again though! Regular cornbread batter is pretty good fried too, I do that sometimes if I am in a hurry. My people were pretty particular about bread and all the derivations. I would love to know how your Mama made her hoecakes. I always sprinkle some cornmeal in the bottom of the skillet before pouring the batter in. It makes the bottom crusty. My daughter asked me one day why I do that and I told her because my Mama always did. Mona, that’s a good tip! I’m going to try that the next time I make Eggbread! Thanks! That is always the proper answer for any cooking situation, cause if Mama did it and nobody died in the process, it is a great answer!! Never forget that people. Water, salt and fine ground cornmeal at our house. Either in hoecakes (one big cake in the skiller) or pones (hand sized separate cakes in the pan). And, then there were the hushpuppies with fish. I loved the crispy crust but didn’t like the rest of it. I really prefer what you call egg bread. I loved the crust of the Hot Water Cornbread, too, but didn’t like the inside until I switched over to a medium grind cormeal like Great Smoky Mountain. It has better flavor and texture. Give it a try! 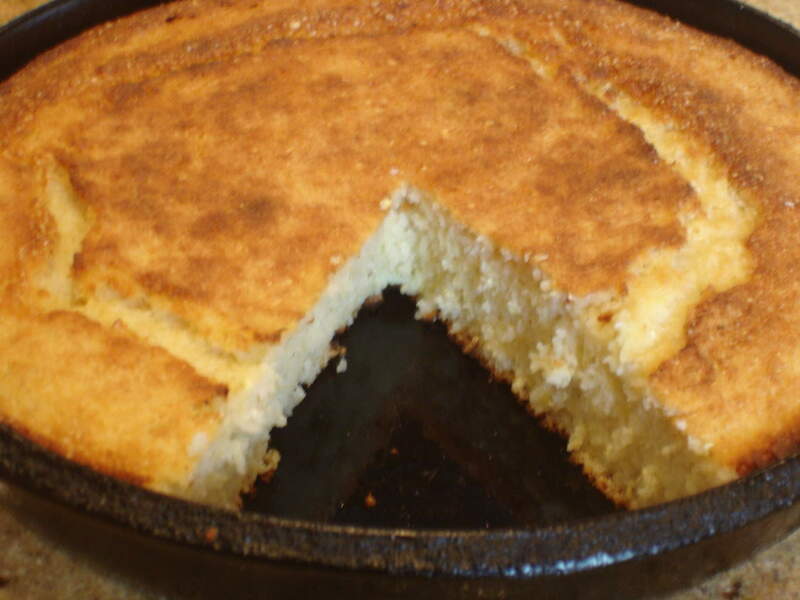 The skillet cornbread that is made for dressing…wonderful, but if eating with beans/soups/etc..I add about 2 T of sugar and about T onion powder…The smell is wonderful…and taste is , too. I never had any relatives from the South we are all Northerners. My first cornbread was served by my new SIL and she baked it in a cast iron pan bought especially for that supper. I have made cornbread from scratch but I do like my a little sweet. I buy Jiffy (probably a bad word for you guys down there) but it is really good I bake it in an 8″ pan. My Mil who was born in Kentucky liked her cornbread like you all do. I couldn’t stand it myself but ate it out of respect for her. She cooked a lot of things in a different way than I was used to. God bless her she’s been gone since 2004. What a good-hearted soul you are! You brightened your mother-in-law’s day by eating her cornbread. What’s considered good cornbread is all a matter of taste. Just stick with what you think is good! No Southern kitchen is without cornmeal for cornbread. I have a English friend that I have tried to explain cornbread and even sent a cornbread mix to but I think you pictures and explanation will do it just right so I have forwarded it to him!! I don’t care what it’s called – I LOVE it all!!!!!! Will have to get some medium grind and give it a try – sounds great. Jackie, thanks for the lesson – it was very informative!!! My mother and my grandmother both made nothing but “cake” cornbread, so it is what I grew up eating, upon marrying my husband and visiting his family in NC the first time. We were all in the kitchen and my husband’s mom mentioned cooking some cornbread to go with dinner.. I got excited as it had been some since I had some … when dinner was served I was very confused ! I asked where the cornbread was?? They handed me a plate of fried bread and said here it is. I of course took the bread trying to be polite but in my mind I was thinking , what in the world are these people thinkin’ this is not cornbread ?! Of course I ate the fried cornbread and man was it ever good! I think I made a pig of myself by requesting more fried cornbread than I probably should have, but it was some good stuff! Of course after my visit in NC I had to call my momma in AL. to tell her all about this fried corn bread I had just eaten. I love both versions of my beloved corn bread, it is soo yummy!! I’m cooking bbq chicken for dinner tonight and all this talk about corn bread has made me want some.. so tonight it’s the “cake “version that will grace our dinner table. 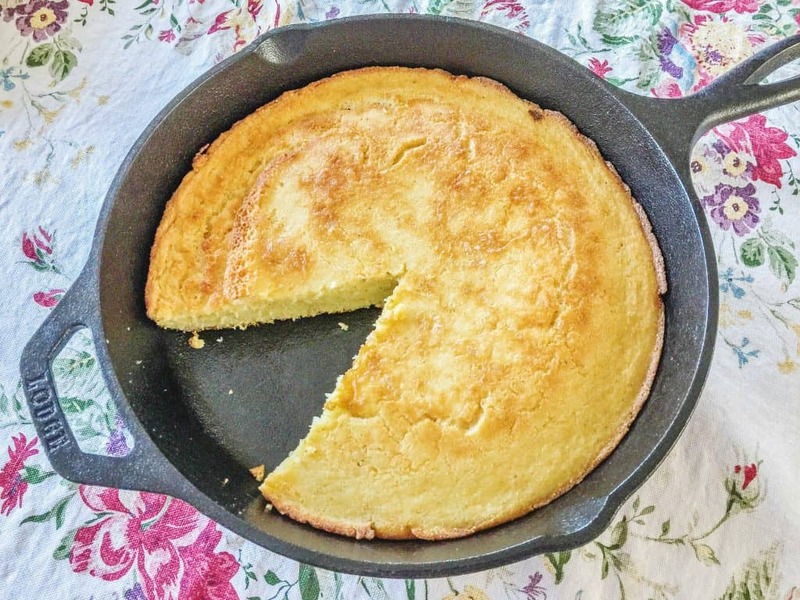 I don’t think I’ve ever made buttermilk cornbread…going to have to give that a try. Here in Texas I was brought up on “cake Cornbread” that we just called cornbread. Mama always made it with buttermilk, It is so good hot from the oven sliced open and butter slathered inside. We always had it with beans, stews or anytime we had ice cold milk the milkman left on the porch. We poured a tall glass of milk and crumbled hot corn bread in it. We ate it with a spoon. Yum!! Of course we always had hot buttered cornbread on the side. For those of you who have not made it with buttermilk, try it- you will like it!! Cornbread and sweet milk or buttermilk was a very common supper in Deep South. Thanks for sharing your comments. I enjoyed reading them! That was my husband’s favorite supper. However, the cornbread I grew up eating and that I have baked all my life was white corn meal, a handful of flour, soda, salt, a couple tablespoonfuls of lard or bacon grease or oil, and buttermilk. My husband wouldn’t eat cornbread with sugar or eggs in it. Me too! I’m from Houston and prefer the “cake” version but Grandma always had the fried cake versions on the stove for GPas supper and as kids we would always get them as a treat when we visited …..instead of cookies….who needed those anyway! But for holidays or eating with beans and greens she made the full buttermilk cake cornbread ! Oh the memories a simple thing like cornmeal invokes. Can you use self rising corn meal mix? If so, what modifications need to be made? Love Hush Puppies & Corn Bread, YUM! Job well done! My Kentucky-born husband said that if there was ever any leftover cornbread in his house he would have it the next morning crumbled in a bowl with warm milk and sugar. That doesn’t sound very good to me. I do remember my mother-in-law telling me (her Yankee daughter-in-law) that good cornbread NEVER has sugar in it. She made it often, and it WAS good. 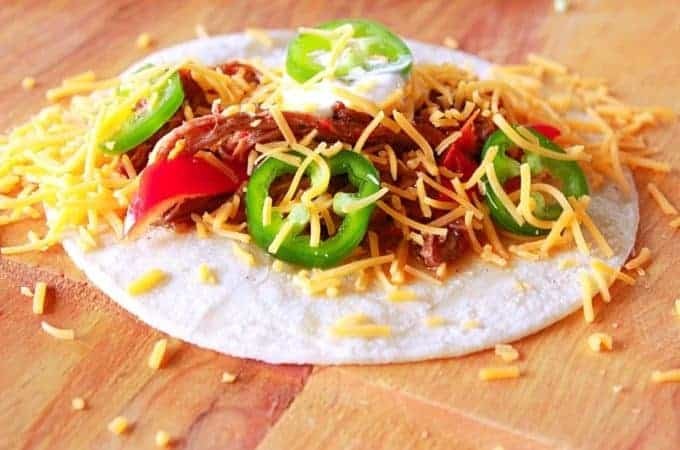 My favorite is to put it in a bowl and add a couple scoops of pinto beans (simmered all day with a ham hock) with a little chopped onion on top. My husband calls it “Brown Beans and Cornbread” and it is one of his favorite winter suppers. Cornbread and beans with fresh chopped onion is a classic rustic dish. Lots of folks like to pour buttermilk over crumbled cornbread. They called it Cornbread and Clabber. People have definite ideas about cornbread: sugar/no sugar, leavening/no leavening. The taste preference for cornbread are almost as sacred as the different taste preferences for BBQ sauce. You could start a feud Hatfield and McCoy style by dissing someone’s BBQ sauce! I have always favored sweetmilk (Regular whole milk ) doesn’t matter hot cold or other wise with my Buttermik corn bread . Is this white or yellow cornmeal? The cornmeal is white. I prefer a medium grind. Just buy the best you can find in your grocery store. South Alabama (butler co.) relatives taught me to make it with self-rising cornmeal and milk (maybe a little flour, salt and pepper). No egg, but baked like your egg bread. It’s denser but so so good. That’s what we eat anyway! If you haven’t already heard him, Mark Lowry has a thing on Youtube called ” Take a pill and cook those vegetables”. He is a Christian comedian/accomplished songwriter, having sung with the Gaither Vocal Band. Even the fake cornbread in a box shows how you can put chocolate frosting on it, for crying out loud! Thanks for keeping me posted on all you are doing. I’d gladly do the dishes if I could lick to bowl your dressing is mixed in. That is one of my favorite memories when my Mama used to make dressing. Peace and blessing to you and yorn! Barbara, I haven’t heard of Mark Lowry but I will look him up. My husband calls cornbread with sugar “cake” too! I will have a complete post for Cornbread dressing later on tonight. It will include all the ingredient amounts. 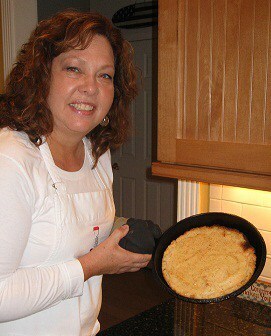 Jackie, this is how Esther made her cornbread, by using the eggbread recipe shown here. She also taught me to make the hot water cornbread using water,salt and white cornmeal. She also made me use an iron skillet. She made it both ways, and I tend to make the hush puppie style. She collectively called both types hoe cake. Love eating hoe cake with white peas and white butter beans. You’re not kidding about hoecakes going with white peas and white butterbeans!! That’s mighty good eating. Tomatoes in hushpuppies sound unique and delicious! I bet your scaled cornbread is what we call hot water cornbread: cornmeal, hot water and salt. No leavening. I’m tickled to death you found us! Welcome home! I’m going to have to try hush puppies with tomatoes. According to “Gan,” my paternal grandmother made Eggbread, because “real,” traditional Southern Cornbread didn’t have eggs! Eggbread is the term the old timers called what we know as “Southern Cornbread”. They would call hot water cornbread “everyday cornbread”. In my family, eggbread was only made as a base for dressing. I have found this trend to be regional, even among Southerners. It seems that hotwater cornbread was specific to the rural parts if the Deep South. I still make it today. This brings back many happy memories of watching my Nanny who was from West Virginia, make cornbread in my mom’s black cast iron skillet. I now live in Australia and my Nanny is now with her Lord and Saviour. I am so happy to have this recipe! She never used a written recipe when she made it and I thought I would never be able to taste it again. My brothers and I loved to eat it with butter and grape jelly as our desert after dinner. Can’t wait to get myself a cast iron skillet and bake it again! Thank you so much for sharing all your information. I’ve known of several people who use mayo in cornbread. It gives it great flavor and adds the same tang and acidity of buttermilk. Finally, a recipe the way I cook cornbread. I have an iron skillet used only for cornbread. If your are looking for such a skillet, go to the flea market or an antique store and find an old one-Wagner or Griswold. They are worth the price. Nothing better than pinto beans with lots of the liquid poured over cornbread! I’m from Tennessee. Being from Tennessee, I am surprised to see you didn’t recognize lodge Cast Iron products. They have been around forever. Sol all over, also in cracker Barrel and online. The first photo in the post shows cornbread in a Losge cast iron skillet. Cornbread! Ohhhhh my how I love cornbread!!! Your “egg bread” recipe is how I make regular cornbread….for the dressing I add sage, parsley, fresh ground black pepper and sometimes throw in a few other herbs/spices. I loved my mom’s cornbread. 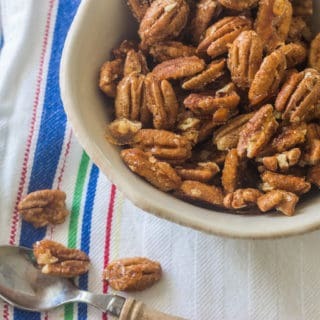 My dad would eat it in milk for a snack — he called it “poor man’s cereal!” My son thought it was something special to eat poor man’s cereal with his Pa Burt! Now this is true cornbread I love your site so very much. My family was from Tennessee & my Mother always made cornbread with egg & buttermilk. I do too, but I use the cornbread mix (with the leavening added). When Mother ate what I made she started using it too. We never put sugar in cornbread! When I make cornbread for dressing I add black pepper, sage & poultry seasoning. I use to beg my Mother to fry cornbread, we loved hoe cakes! 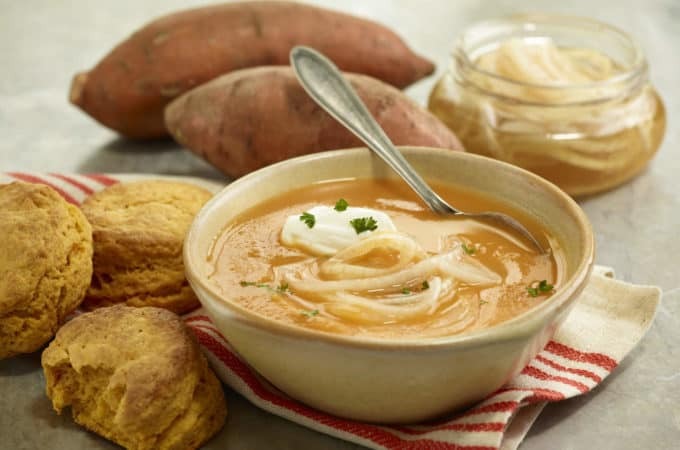 When I married, I moved to TN, my Fil made fun of me being raised in Mich, till he happened in one evening & I was making hoe cakes & had a kettle of soup beans & a pan of fried taters. He tried a hoe cake, grinned & said your Mommy & Daddy raised a country girl in Michigan! He’s been gone over 30 years, but it still tickles me when I think of that. I love your posts & recipes, reminds me of cooking with Mother, she’s gone 21 years now, but with me each step I take. So thankful to have found your page. I am so happy to find this blog and I have subscribed to it! I’m from Lake City, FL. Please tell me you do have a cookbook!! Hi, Sarah! Welcome to Syrup and Biscuits. I’m sure proud to have you here. I keep thinking and thinking and thinking about a cookbook. But I really wonder if we need one more Southern cookbook. Everybody and their granddaddy has one out now. Recently I noticed my buttermilk cornbread wasn’t coming out right. I thought it to be just a mishap, but after about 5 loaves, I decided to look at the ingredients on the buttermilk carton. To my surprise I saw they are adding corn starch to it now. No wonder it wasn’t turning out right! For now, Ive been transplanted to Missouri and the only buttermilk available has corn starch added. My grandmother used to make her own by adding lemon juice to milk. Has anyone else used this type of buttermilk to make cornbread and how did it turn out? I’ve never heard of adding cornstarch to buttermilk and don’t understand the purpose for doing so. I immediately jumped up and checked the label of my preferred brand of buttermilk in my refrigerator. No cornstarch. Whew! You can add one tablespoon of lemon juice or vinegar to one cup of milk for a substitute. I do that in a pinch. It works fine. Ack. I just checked my buttermilk and NO cornstarch here, fortunately. Never heard of that before. Born and raised in Alabama. Hubby (23 years now) introduced me to Martha White Self-rising Yellow Cornmeal Mix. LOVED it since the first time I made it (that’s what his Momma always used), and we use a recipe from the old telephone cookbook (the original yellow cookbook (Volume 1 of 4), still available on Amazon with over 500,000 in print) and it calls for buttermilk, and, egad, an egg, and sugar, but it’s not a sweet cornbread. We have modified it to our preferences. We like two eggs, buttermilk, 2 T sugar, lots of finely chopped onions (some people add jalopenos, some people add niblets corn). I put 1 T bacon drippings or oil in the iron skillet, set it in the oven (500) and get it screaming hot (make sure your vent is on – if I forget I always set off the fire alarms). Mix 2 T bacon drippings or oil in the mix, but only mix wet ingredients (don’t over-mix) when the skillet is screaming hot. Quickly pull the skillet out of the oven, dump the cornbread mix in the skillet (it starts to bubble in that hot skillet) and put it quickly back into the oven for about 15 – 20 minutes. 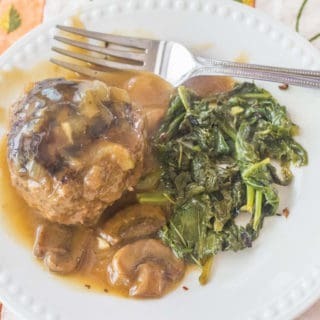 Comes out of the skillet with a beautiful brown crust and wonderful flavor. It sounds you’ve got your technique down pat. That’s the key to making Southern quick breads, perfect a recipe to your liking. That thing about cornstarch in buttermilk is unreal. It’s a brand called Highland. Unfortunately I’m living in Missouri for the time being, and Highland is the only dairy provider in SW MO. That is unfortunate and it makes me sad for you. There’s no reason to put cornstarch in buttermilk. I made cornbread for an English friend in Costa Rica. He had nevah heard of buttahmilk or coinbread, lave. (You have to imagine the aristocratic British accent.) 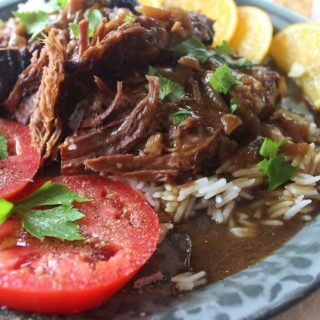 We had it with the prerequisite black beans and rice we all ate tons of in Costa Rica. Even though I had to score packets of polenta from Panama to make my cornbread, it was still delicious. You can’t buy cornmeal in Costa Rica. It’s not part of their culture. They use hasa marina (corn flour) to make their tortillas but it completely different. I’m so happy to be able to make it now with decent cornmeal. Count your blessings everytime you eat our wonderful, “lavely dahling, just lavely” cornbread. God bless your sweet lovin’ heart! I enjoyed readkng your post in my best Bri’ish accent! LOL! This is the first time I have heard anyone call this recipe..Egg Bread and yes it was used for making dressing. My granny used this for all her breakfast also..baked it, slice and put butter on each piece, then pour cane syrup over it with sausage, bacon, ham, eggs. It was awesome. 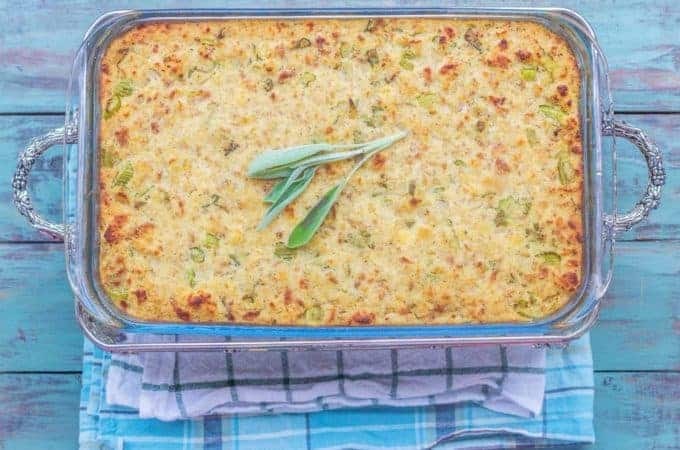 Most people do not use this type of cornbread to make dressing. Granny put about 4 eggs in her cornbread..said made it richer. Tell everyone….it is a southern thang and yes..NO SUGAR…Thanks for letting people know the best way for eating corn bread. p.s. Ever make fried corn bread in the over??????????????? I’ve made fried cornbread in the oven many times. Ordinarily, I will make lacey cornbread for everyday eating and I fry that on top of the stove. No cast iron skillet. Can I bake this recipe in the oven I regular pan? Lots of folks use regular baking dishes for cornbread. Just make sure it’s greased well. What wonderful, sweet memories! I love simple suppers like you described. What size cast iron skillet should I use as I have every size known to man? I appreciate your cast iron enthusiasm. I use a 9 or 10 inch. OMGOSH!!! 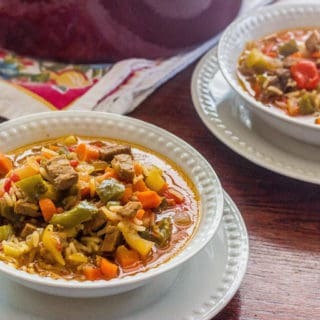 I have been looking for this recipe!!! 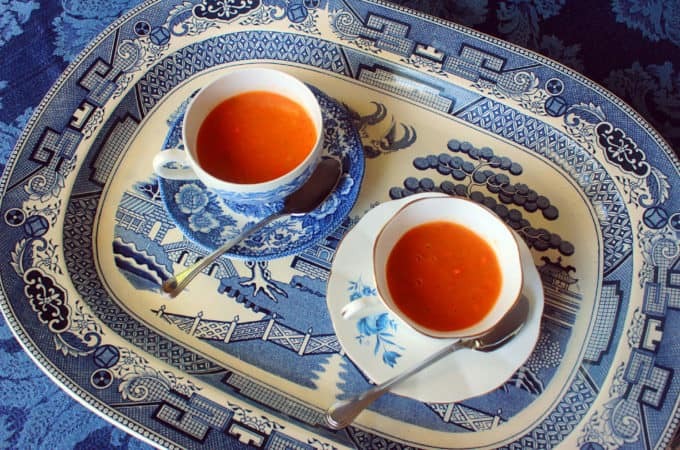 My grandmother used to make this for me. Momma said she would come to pick me up after work and i’d walk out with a piece in each hand and butter running down my arms! lol I am going to make it for my kids tonight. I hope they like it as much as i did. My family recipe is almost identical except I use Aunt Jemima White Cornmeal fine grind and use 1/2 cup flour with one tablespoon baking powder. For a pot of beans, the first meal is with skillet cornbread and the next is with hot water cornbread. Btw, we don’t eat much bacon anymore, but I found a big tube of rendered and triple filtered bacon fat on Amazon from which I keep some in a jug ready to go and freeze the rest. Oops, I use 1/3 cup floor. I love that you vary the type of cornbread you cook.